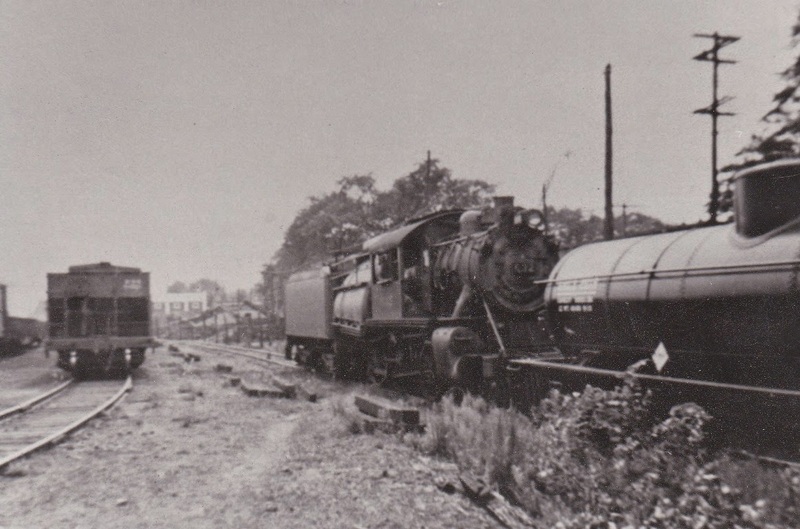 In an undated photograph, CNJ's 632 (a 4-6-0) shuffles a tank car around in what is now NJ Transit's Raritan facility. 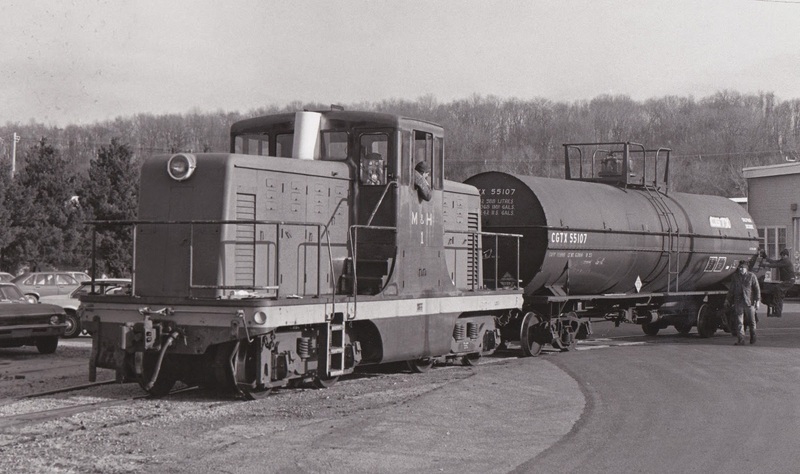 Built by Baldwin, this was one of the five Camelbacks that was found on CNJ's locomotive roster back then. JACKSONVILLE, Fla. - November 25, 2014 - CSX was recognized as the sixth-most military-friendly employer on G.I. Jobs' 2015 Top 100 Military Friendly Employers ranking today, and the second-most military-friendly employer in the transportation industry. This is the seventh consecutive year that CSX has been among the top 10 employers on the list. "U.S. military veterans with strong backgrounds in team environments, safety practices and leadership skills excel in helping CSX serve its customers," said Michael J. Ward, CSX chairman, president and chief executive officer. "CSX is proud to support and employ the men and women who have defended and protected our nation." This recognition celebrates CSX's ongoing commitment to support the U.S. military and its veterans. More than one in five CSX employees have served in the armed forces and 27 percent of the company's new employees in 2014 have military experience. Since 2006, G.I. Jobs has issued an annual ranking of businesses based on veteran recruiting practices. The publication examines more than 5,000 American businesses with more than $500 million in annual revenues. Out of these eligible members, only two percent make the annual ranking. G.I. Jobs ranks each company by weighted factors, including long-term commitments to hire veterans, specialized military recruiting programs and supportive policies for reserve member employment while off duty. To view the full list of G.I. Jobs' 2015 Top 100 Military Friendly Employers, please visit http://militaryfriendly.com/. ...had me wondering if I was really along CSX's Trenton Line at MP 56 in Manville (NJ) on Sunday morning around 11:30 with all the variety that can be seen in this image. 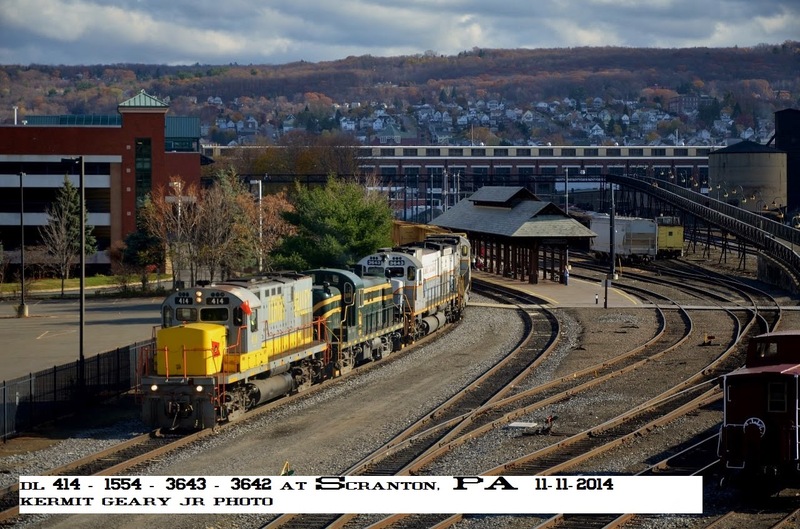 CSX K-038 heads west down the TL with BNSF 929 (Built: 9/93) and CP 9581 (Built: 10/95) serving as the motive power. Both of those units are showing their years of service with well-worn paint. Off to the left can be seen six Metro North cars coupled up to a CSX eastbound mixed freight that was holding in the Manville yard. This location is what was once the site of the Manville's Reading station. JACKSONVILLE, Fla. - November 21, 2014 - CSX (NYSE: CSX) is positioning itself to continue delivering strong financial results by balancing stabilized service levels, improving efficiency and continued growth opportunities, Chief Transportation Officer Cindy Sanborn told an industry audience today at the annual RailTrends conference in New York City. "CSX is committed to delivering Service Excellence for its customers, which reinforces our strategy of driving the company's ability to grow faster than the economy, pricing above inflation and producing ever more efficient operations," Sanborn said. "CSX is working to put the right people and resources in the right places, combined with process improvements and increased communication with our peers, to serve the broad-based growth we continue to see across nearly all markets that we serve." As customer demand continues to rise, CSX network performance remains stable, with key indicators including on-time originations and arrivals holding steady in the fourth quarter as compared to the previous two quarters. "We are working around the clock to further improve operations at a steady pace into 2015 even as we handle the traditional fall peak and record grain harvest," Sanborn said. To facilitate that improvement, CSX is adding additional locomotives, hiring new train crew employees, accelerating capacity projects and adjusting operating processes. Fluidity in Chicago remains a top priority for CSX and its peer railroads. CSX is using infrastructure improvements to help ease congestion while also improving coordination with other railroads in Chicago. These resources and process adjustments will support fluidity and growth, preserving the flexibility to drive long-term asset utilization improvements. At the same time, CSX is making additional process changes to help reduce potential winter weather impacts. Increasing preparation in conjunction with customers, deployment of additional weather preparation and response equipment, and formal contingency plans for routing, capacity and inventory management are all complete or underway. On the strength of this multi-faceted plan to improve fluidity, serve growth opportunities and drive long-term asset utilization, the company continues to expect fourth quarter earnings per share growth at a similar level as it achieved in the third quarter. 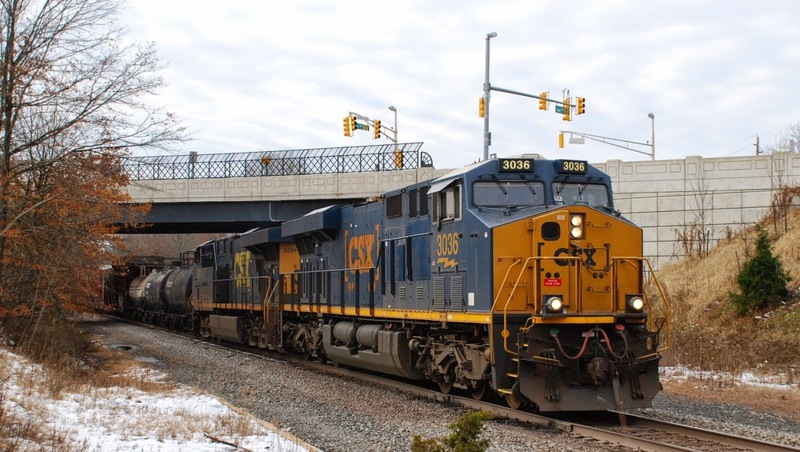 CSX remains confident in its ability to deliver double digit earnings growth and margin expansion in 2015 as it progresses toward a mid-60s operating ratio over the longer term. More information about CSX's network performance plan is available at http://www.csx.com/index.cfm/customers/service-overview/. Investors can visit http://investors.csx.com/phoenix.zhtml?c=92932&p=irol-irhome for more information about CSX's financial performance. 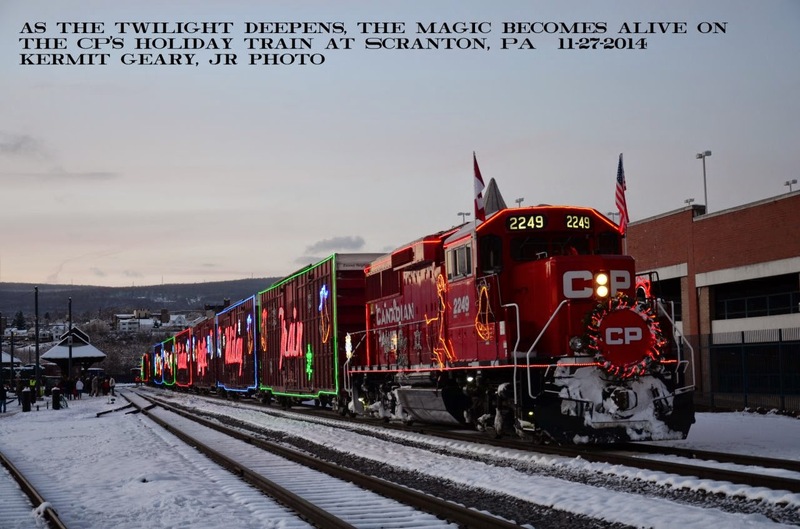 NORFOLK, VA., and CALGARY, ALBERTA - Norfolk Southern Corp. (NS) and the Delaware & Hudson Railway Co. (D&H), a subsidiary of Canadian Pacific Railway (CP) today announced a proposed transaction under which NS would acquire 282.55 miles of D&H rail line between Sunbury, Pa., and Schenectady, N.Y. The $217 million sale, subject to approval by the U.S. 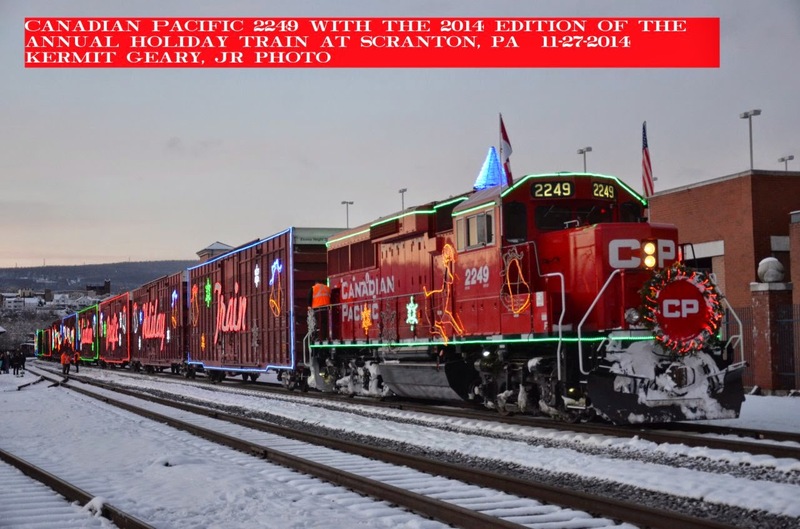 Surface Transportation Board, would benefit customers, competition, and jobs in the northeastern United States. "Acquiring this portion of the D&H provides for more efficient rail transportation system by consolidating freight operations with a single carrier," said NS CEO Wick Moorman. 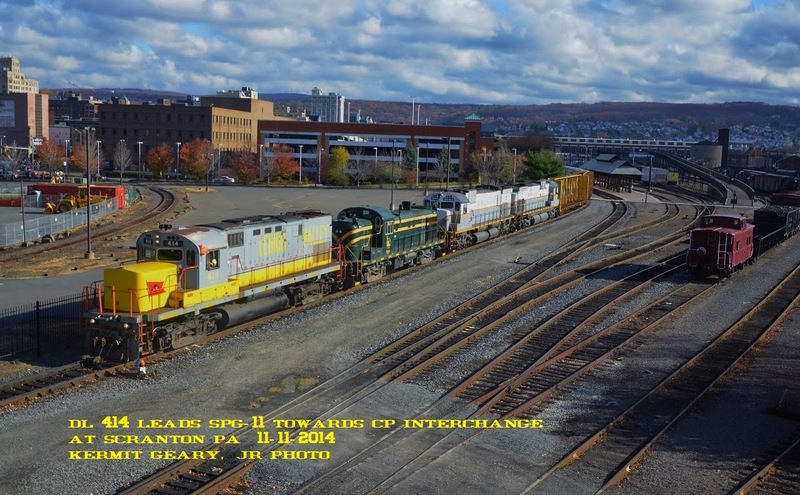 "Aligning the D&H track with Norfolk Southern's 22-state network allows us to connect businesses in central Pennsylvania, upstate New York and New England with domestic and international markets while enhancing the region's competitive rail and surface transportation market." 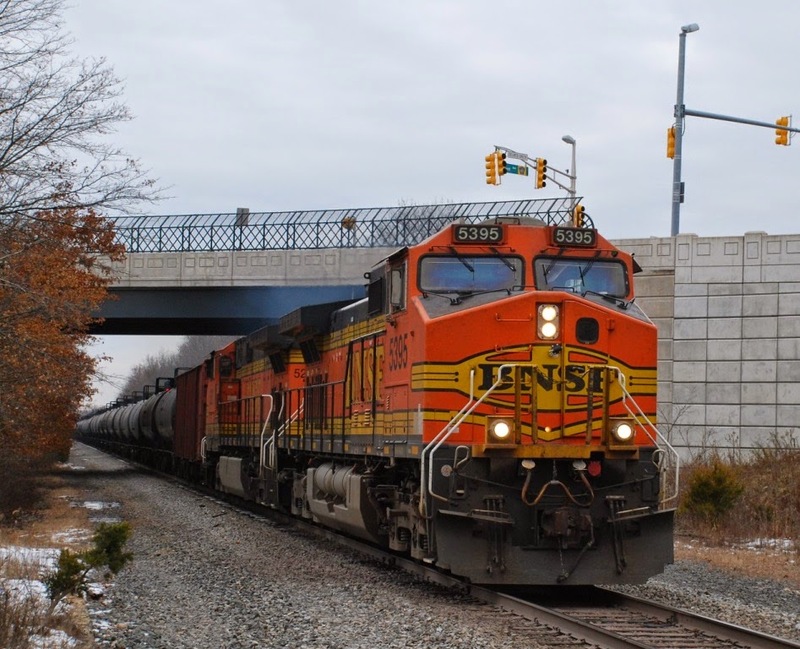 The lines to be acquired connect with NS' network at Sunbury, Pa., and Binghamton, N.Y., and would give NS single-line routes from Chicago and the southeastern United States to Albany, N.Y., and NS' recently built Mechanicville, N.Y., intermodal terminal. NS also would gain an enhanced connection to its joint venture subsidiary Pan Am Southern, which services New England markets. Additionally, NS would acquire D&H's car shop in Binghamton along with other facilities along the corridor. "As we have stated in recent months, we've been in the process of negotiating the final details for the potential sale of the southern portion of our D&H line," said CP CEO E. Hunter Harrison. 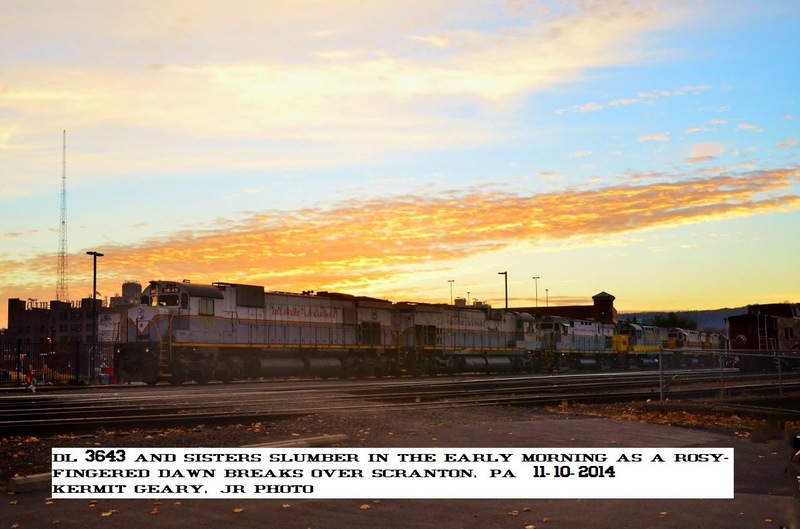 "We are pleased to find a prospective buyer in Norfolk Southern." As part of the transaction, NS would retain and modify overhead trackage rights on the line between Schenectady, Crescent, and Mechanicville, N.Y., as well as Saratoga Springs, N.Y. 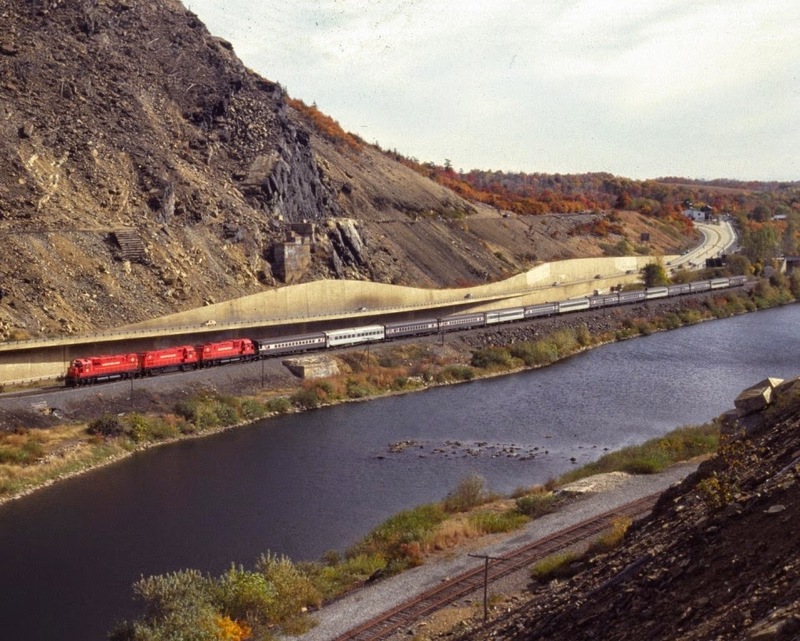 The D&H would retain local access to serve customers in Schenectady and would maintain its access to shippers in Buffalo. NS intends to retain its current employees and offer employment to about 150 D&H employees currently working in this area. Any adversely affected employees will be entitled to standard labor protections. 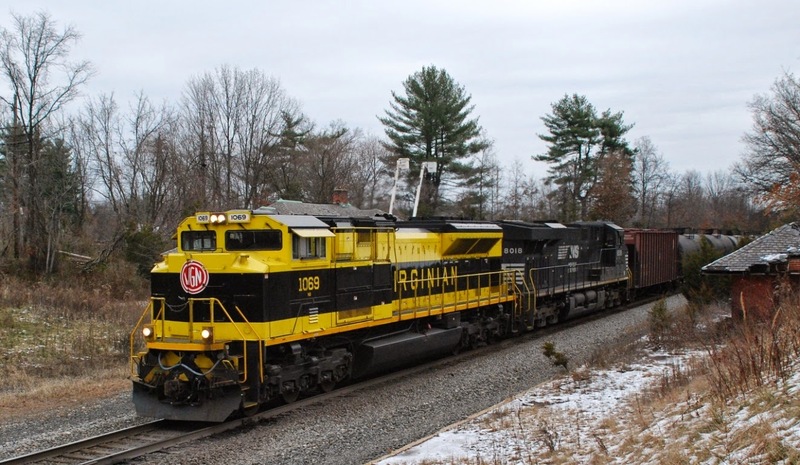 "This acquisition would preserve good-paying railroad jobs and set the stage for economic growth," said John Friedmann, NS vice president of strategic planning. 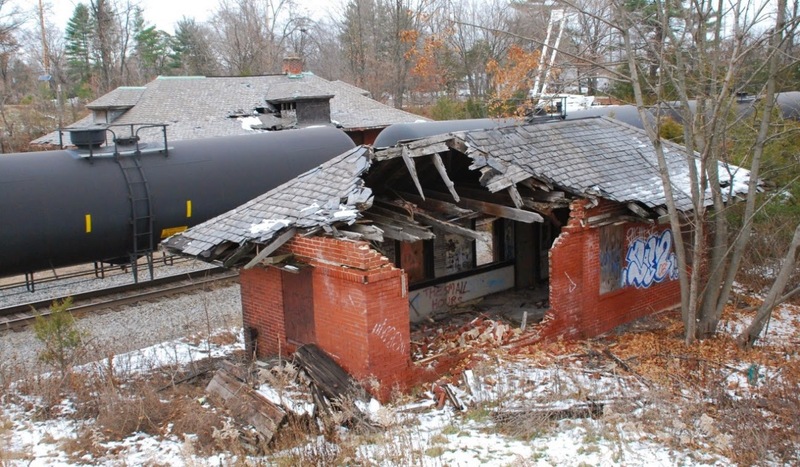 "Absent this transaction and its efficiencies, we are concerned that rail service along much of New York's Southern Tier would be threatened with losing a crucial link to New England." NS has submitted an application for the transaction to the U.S. Surface Transportation Board. The rail companies are proposing a schedule that would lead to approval during the second quarter of 2015. This news release contains certain "forward-looking statements" within the meaning of applicable securities laws relating, but not limited, to NS' proposed acquisition of a portion of D&H's rail line, CP's and NS' operations, priorities and plans, anticipated financial performance, business prospects, planned capital expenditures, programs and strategies. These forward-looking statements also include, but are not limited to, statements concerning expectations, beliefs, plans, goals, objectives, assumptions and statements about possible future events, conditions, and results of operations or performance. Forward-looking statements may contain statements with words such as "anticipate", "believe", "expect", "plan" or similar words suggesting future outcomes. Undue reliance should not be placed on forward-looking statements as actual results may differ materially from the forward-looking statements. Forward-looking statements are not a guarantee of future performance. Among other risks, there can be no guarantee that the acquisition will be completed within the anticipated time frame or at all or that the expected benefits of the acquisition will be realized. By their nature, CP's and NS' forward-looking statements involve numerous assumptions, inherent risks and uncertainties that could cause actual results to differ materially from the forward-looking statements, including but not limited to the following factors: the occurrence of any event, change or other circumstances that could give rise to the termination of the agreement between CP and NS; the outcome of any legal proceedings that may be instituted against CP or NS and others following announcement of this agreement; the inability to complete the acquisition due to the failure to satisfy the conditions to the acquisition; risks that the proposed transaction disrupts current plans and operations; the ability to recognize the benefits of the acquisition; legislative, regulatory and economic developments, including regulation of rates; changes in business strategies; general North American and global economic, credit and business conditions; risks in agricultural production such as weather conditions and insect populations; the availability and price of energy commodities; the effects of competition and pricing pressures; industry capacity; shifts in market demand; inflation; changes in taxes and tax rates; potential increases in maintenance and operating costs; labor disputes and potential difficulties in employee retention as a result of the acquisition; risks and liabilities arising from derailments; transportation of dangerous goods; timing of completion of capital and maintenance projects; currency and interest rate fluctuations; effects of changes in market conditions; various events that could disrupt operations, including severe weather, droughts, floods, avalanches and earthquakes as well as security threats and governmental responses thereto, and technological changes. The foregoing list of factors is not exhaustive. These and/or other factors are detailed from time to time in reports filed by CP with securities regulators in Canada and the United States and in reports filed by NS with the SEC. Reference should be made to "Management's Discussion and Analysis" in CP's annual and interim reports, Annual Information Form and Form 40-F. Reference should also be made to NS' Annual Report on Form 10-K for the year ended December 31, 2013. Readers are cautioned not to place undue reliance on forward-looking statements. Forward-looking statements are based on current expectations, estimates and projections and it is possible that predictions, forecasts, projections, and other forms of forward-looking statements will not be achieved by CP or NS or will be delayed or materially altered. Except as required by law, CP and NS undertake no obligation to update publicly or otherwise revise any forward-looking statements, whether as a result of new information, future events or otherwise. JACKSONVILLE, Fla. - November 19, 2014 - Fredrik Eliasson, CSX Corporation (NYSE: CSX) executive vice president and chief financial officer, will address the Credit Suisse Global Industrials Conference in New York City, Wednesday, December 3, at 8:45 a.m. Eastern time. 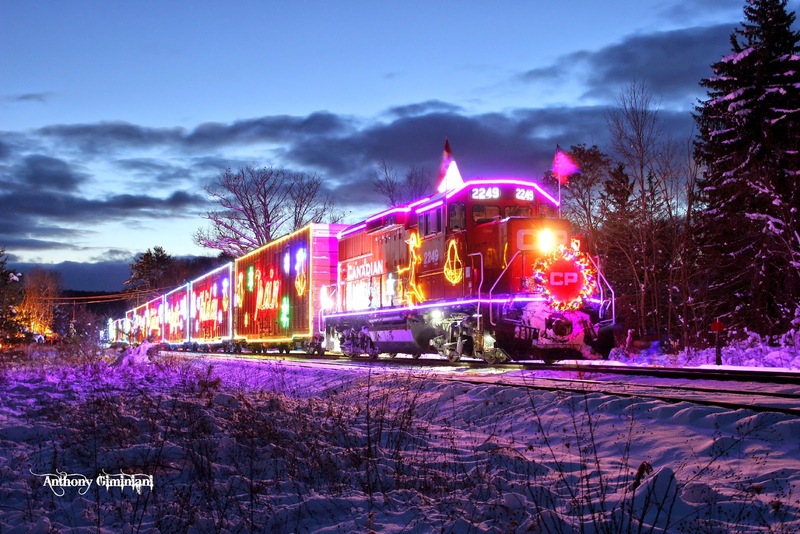 Received the following via email dated Wed, 19 Nov 2014 13:47.
three American Railway Explorer cars just passed Budd Lake on the NS local to Dover. Possible move to the m&e? Norfolk Southern operations have been impacted by extreme lake effect snow in the Buffalo, NY area. Record setting snowfall, road conditions, and road closures have curtailed Norfolk Southern operations in and around the Buffalo area. Customers with rail traffic destined to or originating in the Buffalo area will see a disruption of service over the next few days. Shipments normally moving through western New York will be detoured over other routes, likely resulting in additional transit time with 24-48 hour delays. Service Alert - Engineering Maintenance - Week of November 24th. Norfolk Southern plans to conduct two Engineering projects before, and possibly through, the Thanksgiving holidays. Beginning Monday, Nov 24th, Engineering will begin a project just outside of Elkhart, IN. Simultaneously, another Engineering project will be between Columbus and Portsmouth, OH. Customers with railcars moving through these areas should expect to see 12 to 24 hours in additional transit time. Question: Where in the world can you get a C-420, and RS-3, and a pair of C / M636's working together on the same train? Answer: On the Delaware Lackawanna, John!!! JACKSONVILLE, Fla. - November 12, 2014 - CSX (NYSE: CSX) has taken a number of actions to overcome the transition in the energy markets in recent years, emerging a stronger company that is better positioned to capitalize on momentum across nearly all the markets it serves, Chief Financial Officer Fredrik Eliasson told investors and analysts at the Baird Global Industrials Conference today in Chicago. "CSX's future is built on the continued execution of our core strategy, which means enhancing our ability to grow faster than the economy, price above inflation, make strategic investments and produce ever more efficient operations to continue delivering superior shareholder value," Eliasson said. "The foundation of that strategy is service excellence, and we are putting the resources in place now to deliver strong service to continue creating sustainable value for our customers and shareholders." CSX's record third quarter financial results highlight the value created by executing that core strategy, while continuing to build on the company's track record of success through the energy transition. By focusing on inflation-plus pricing and efficient operations, CSX is better positioned to capitalize on continued economic momentum and develop new customers on its network. The company expects fourth quarter earnings per share growth to be similar to the level achieved in the third quarter. CSX remains confident in its ability to deliver double digit earnings growth and margin expansion in 2015 as it progresses toward a mid-60s operating ratio over the longer term.
) and follow us on Twitter (http://twitter.com/CSX). Not an ideal way to spend New Year's Eve! New Year's Eve in 1986 finds this Middletown & Hummelstown RR crew positioning a tank car at the Manley-Regan Chemical Company in Middletown (PA) on a blustery day that made the temperature seem colder than it was. M&H 1 is ex-Army 65 tonner 7272 and was built by GE in August 1941 in Schenectady (NY). On the anniversary of the sinking of the Edmund Fitzgerald, one has to pause and reflect on the goodness that still abounds in this great country. Thirty years ago on October 14, 1984 Morristown & Erie's 16 (C430), 17 (C430)and 18 (C424) lead its fourteen car consist through Weiders Crossing (PA) on its way to Jim Thorpe. 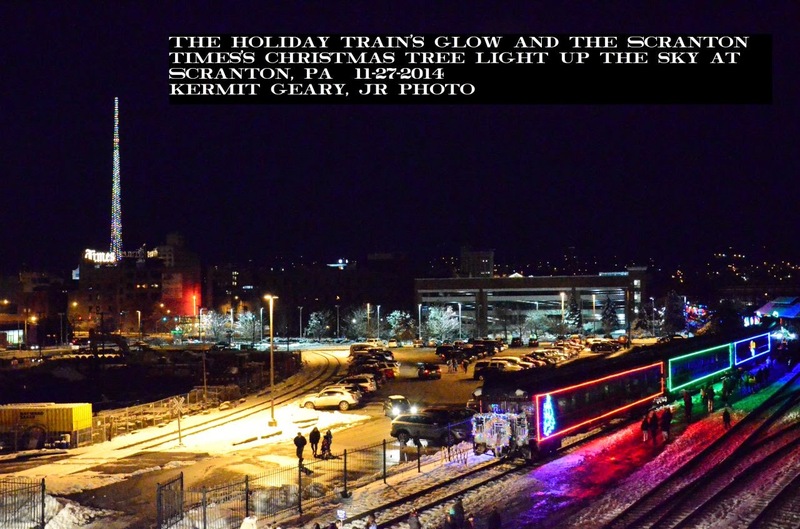 It had departed from Hoboken (NJ) around 9 AM and was scheduled to return at 9 PM. 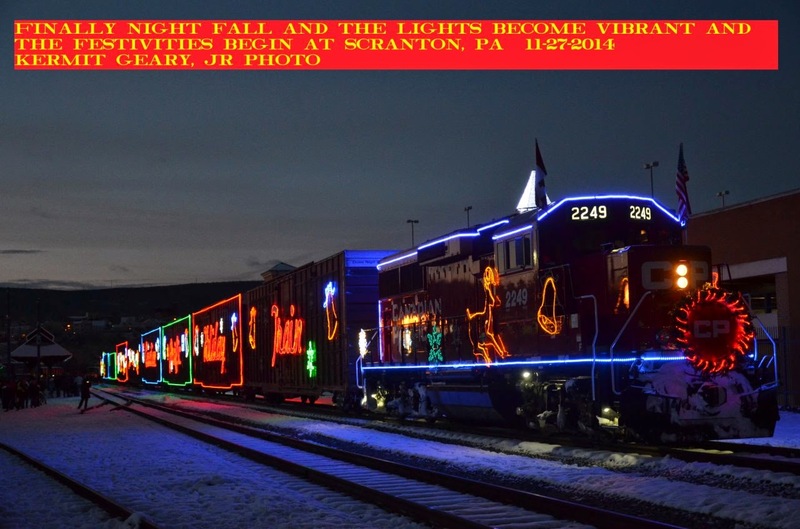 The excursion would lay over in Jim Thorpe for approximately three hours so that passengers could take in the festivities of annual fall festival that was taking place in town. As for the fare, it was $44.00 per person in coach. JACKSONVILLE, Fla. (Nov. 6, 2014) - CSX Transportation today announced that it has resolved the final stages of its racketeering and fraud lawsuit against asbestos attorneys Robert N. Peirce Jr. and Louis A. Raimond, and radiologist Dr. Ray Harron. As part of the settlement, the West Virginia jury's verdict stands and CSX will be paid $7.3 million to satisfy the trial court judgment entered against the lawyers and doctor on September 25, 2013, and in resolution of disputed motions for attorney fees and costs. CSX brought civil RICO and fraud claims against the defendants on July 5, 2007, alleging that they conspired to manufacture and litigate fraudulent asbestos claims against the company. 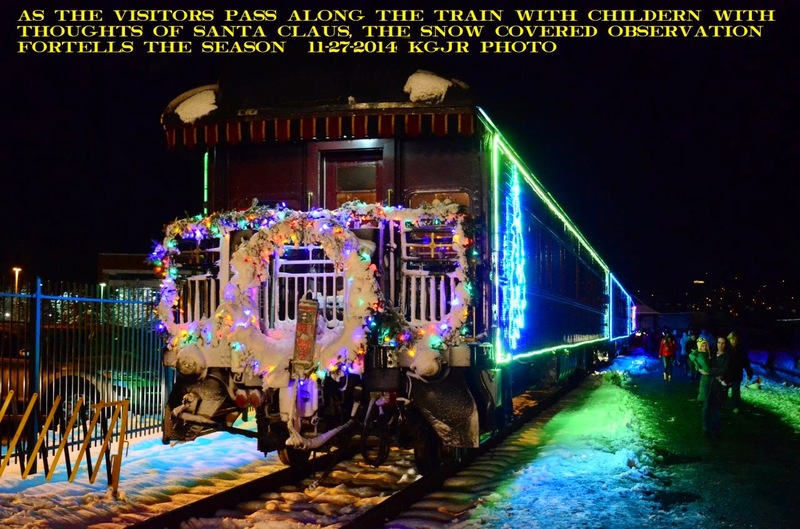 In December 2012, a jury agreed and awarded CSX approximately $429,000 in damages - an amount later tripled to $1.3 million by the trial court judge as required by the federal racketeering statute. Those damages and legal fees totaled $7.3 million. Prior to this settlement, the judgment had been on appeal to the United States Court of Appeals for the Fourth Circuit in Richmond, Va. That appeal is to be dismissed, leaving the jury's findings and resulting judgment undisturbed. "We sincerely thank the jury and the judges. 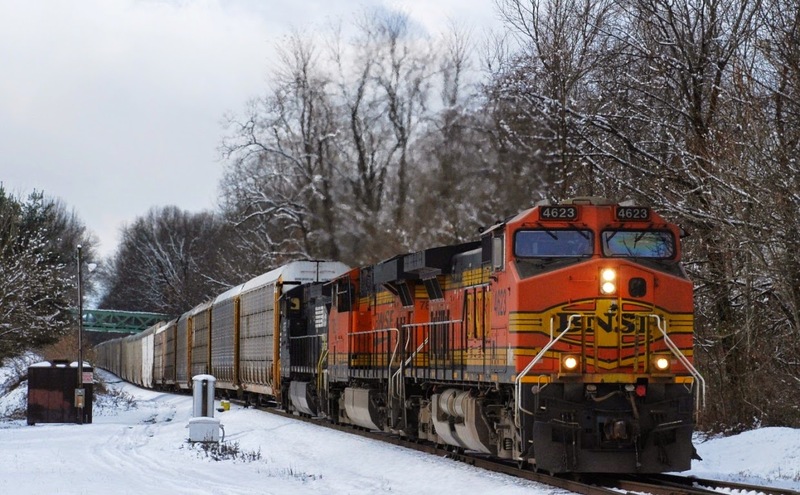 They acknowledged that fraud in injury claims degrades the U.S. system and makes it harder for truly injured persons to be treated fairly," said Ellen M. Fitzsimmons, executive vice president, law and public affairs, CSX. "These funds will be donated to the CSX Foundation, where they will be dedicated to philanthropic efforts serving CSX's communities." The CSX Foundation supports Beyond our Rails (beyondourrails.org), a shared effort between CSX and its employees to advance safety, wellness, environmental and community-based initiatives that seek to improve the well-being of the people and places CSX serves. CSX, based in Jacksonville, Florida, is a premier transportation company. 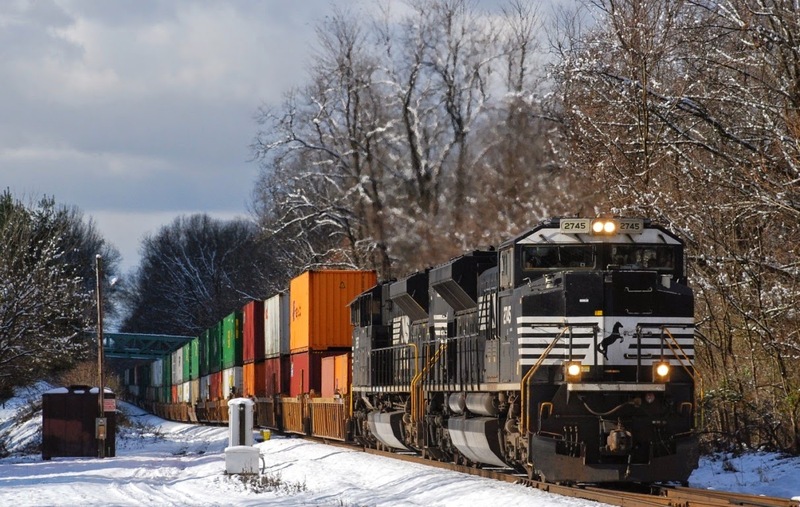 It provides rail, intermodal and rail-to-truck transload services and solutions to customers across a broad array of markets, including energy, industrial, construction, agricultural, and consumer products. For more than 185 years, CSX has played a critical role in the nation's economic expansion and industrial development. Its network connects every major metropolitan area in the eastern United States, where nearly two-thirds of the nation's population resides. 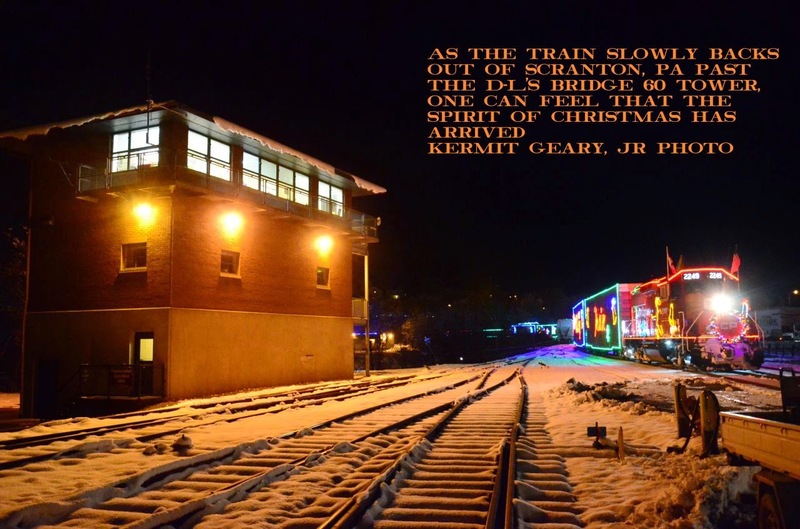 It also links more than 240 short-line railroads and more than 70 ocean, river and lake ports with major population centers and small farming towns alike. More information about CSX Corporation and its subsidiaries is available at ww.csx.com. Like us on Facebook (http://www.facebook.com/OfficialCSX) and follow us on Twitter (http://twitter.com/CSX). 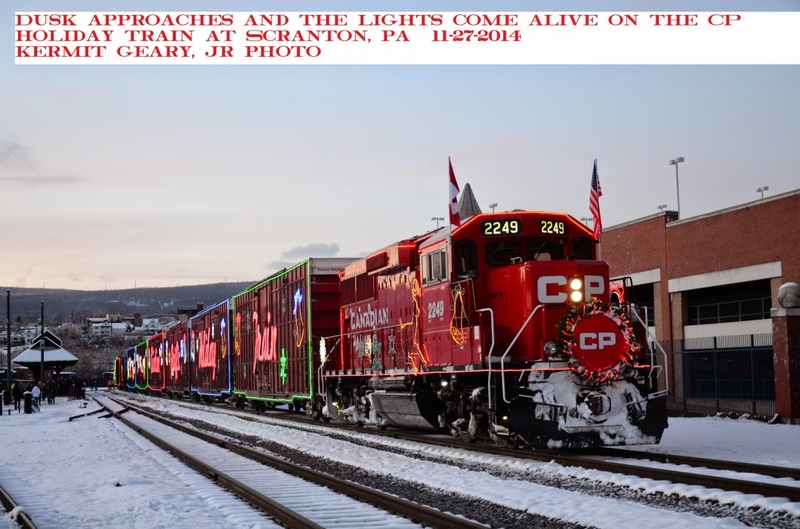 Received the following from Kermit Geary, Jr.
Also see posting on Thursday, October 30, 2014.
at the Northampton Community Center, 1601 Laubach Ave, Northampton, PA 18067. Cutoff date for mail registration will be November 5th, 2014, Payments will be available at the door, but banquet space will not be guaranteed. Presenters : Mike Bednar, James Rowland, Richard Samsel and others to be announced. Cost per person: $45.00 includes Registration, Continental Breakfast, Refreshments, and Noon banquet. ALL ARE WELCOME … RHLV / NRHS membership NOT required for attendance. Plenty of FREE parking on site. Vendors: Table Space Available at $20.00 per table. Call 610-428-7629 to reserve a table.